TITCH, D4D’s paediatric network, worked with the IMPRESS incontinence network and Eat Fish, a digital design agency, to create wearable tech for kids with incontinence. 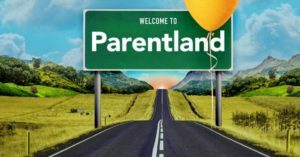 The tech features in the BBC’s Parentland Podcast, first broadcast on 18 March during an episode entitled “The Bedwetting Taboo”. With 12% of 7-9 year olds regularly wetting the bed, it is a significant though rarely spoken about problem for children and their families. Following a series of events with children and their carers to identify unmet needs in continence care, the team developed a wearable device to remind children when they may need to go to the toilet, and therefore hopefully avoid an incident. You can hear about this at around 30 minutes into the podcast. You can find a report and a comic produced from the events on our website, here.